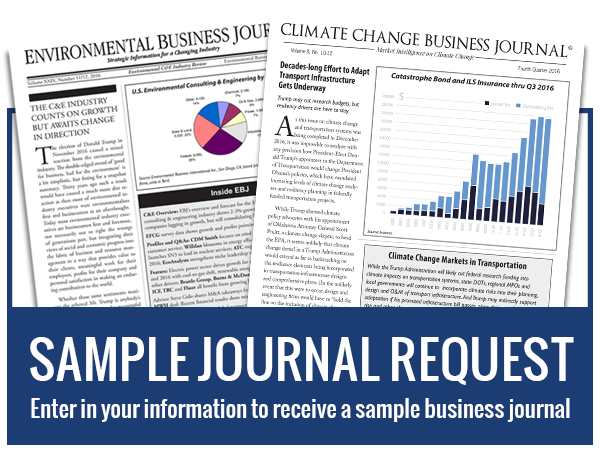 For the latest information on environmental market forecast, please visit our Environmental Industry Journal archive page and our Reports and DataPacks page. 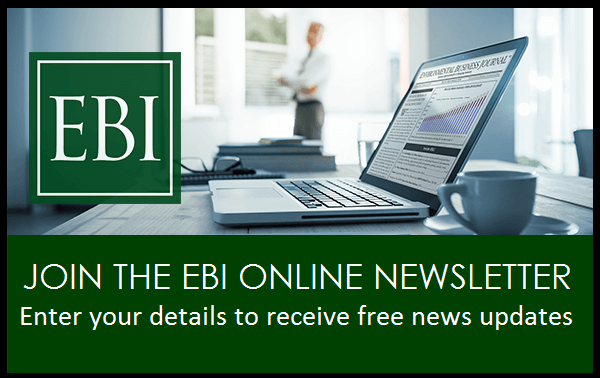 EBJ’s annual analysis of the environmental consulting & engineering industry details a full statistical account of the $29 billion U.S. C&E industry in 2014, current figures for 2015 and an updated forecast for 2016. A market overview and the accompanying EBJ dataset in Excel format provides a market breakdown and environmental market forecast by client, media and service type and exhibits show geographic breakdowns and lists of top firms. 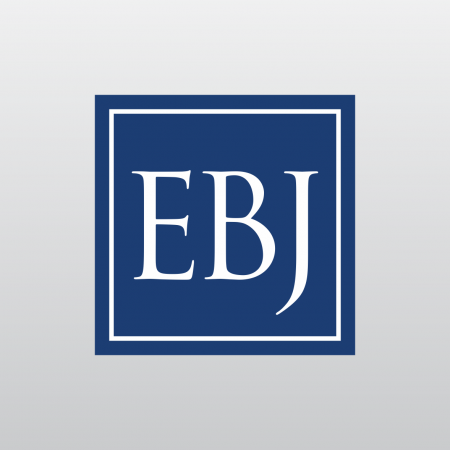 After 2% in 2014, EBJ expects growth of 2.5-3% in 2015, and forecasts 3-4% for 2016. C&E firms have mostly maintained or increased their profitability in 2014-2015. M&A activity continues in 2015 after some record deals in 2014. Private equity investment is raising the bar in large and medium-sized firms. Features in this edition include an M&A trend review with highlight deals, a view from Washington on last-year regulation scenarios from the Obama Administration, how cities are tackling resilience and climate change adaptation, and profiles of key companies.